This slate is all sorts of intriguing. For starters, we've got a whopping twelve games scheduled. Of the 24 teams in play, just three - the Timberwolves, Celtics and the Bucks - are on the back end of a back-to-back. The three teams that lead the league in offensive efficiency - Golden State, Oklahoma City and San Antonio - are all rested and in action. The Phoenix - Golden State matchup has an over/under listed above 220. Has you interest piqued yet? 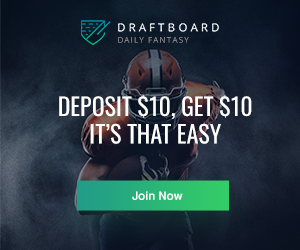 In this article, I will be providing you with Daily NBA picks for FanDuel for 12/16/15. The picks will range from some of the elite players, to mid-priced options and value plays. Point guard is, by far, the most fruitful position tonight. The number of All-Star caliber players on deck is incredible. It would be easy to go in a lot of different directions. I like Lillard tonight for a number of reasons, starting with the fact that he's priced well below Russell Westbrook and Steph Curry, but still provides nearly as high a floor and ceiling that they do tonight. The Vegas implied total for this game tonight - 208 - is much higher than I'm accustomed to seeing for Trailblazers games, thanks to the fact they're facing Oklahoma City, a team that is efficient on offense, plays at a fairly fast pace and most importantly for Lillard, doesn't defend the guard position too well. As the underdogs, I entertain the idea that Portland will be chasing in this game and should have the pedal to the floor for 48 minutes. In games where Portland is a 7+ point underdog, Damian has averaged at least half a point more than his price implied total. Of all the available point guards on the board tonight, Lillard ranks third in usage rate and fourth in PER. 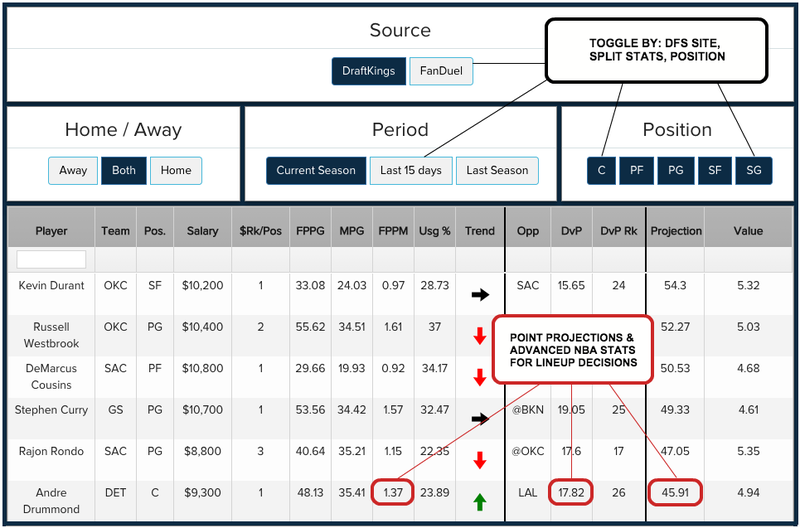 When looking for salary relief at the point tonight, look no further than Mr. Teague. He's priced incredibly fairly, and while his recent performance suggests using him in cash is risky, I think his matchup tonight warrants strong consideration in tournament play. His price implied point total is just 23, and facing a horrific Philadelphia team - one that averages opposing point guards more fantasy points than any team outside of Portland - I think he can cruise past that total. My least favorite position of the night, by a mile. I was expecting a plethora of strong options with all the games on the board, but pretty disappointed by what's in the two-guard cupboard. With the pricing and uncertainty about shot opportunities and minutes, it definitely favors tournaments more than it does cash games. Despite a few bumps in the road the past week, Wade has still exceeded his price implied total 50% of the time over his last 10 games, at an average of 2.16 points above. His price has dropped $300 to a more reasonable figure, and it's the first time I can recall him priced below 7K this season. For the past month, he's averaging more than 30 minutes per game and over 25 points per game with a usage rate of at least 20 and PER above 17. Tonight, on rested legs, he has a favorable matchup with the Brooklyn Nets, who allow quite a few fantasy points per game over the average to opposing shooting guards. While the low over/under (190) might scare some off, the fact that the Nets play at a faster pace than Miami (more possessions for the Heat) and it's a close spread (Heat +4) ease my concerns. My projections have him at a usage rate over 30 tonight, making him a fine play, especially at this price point. Chasing points with Bradley might be a relatively popular pick tonight thanks to his recent outbursts, but one of the few times ownership percentages should be the lesser of your concerns is on a night with 12 games. Even with strong performances his last few times on the court, his price hasn't caught up with his production, and he's got a favorable matchup against the Pistons. George's situation is one to monitor, as he's still listed as questionable for tonight. Outside of the uncertainty there, I really like him at this price point, one I consider a huge bargain. Outside of Durant, who happens to be priced $900 higher than George, no one on the small forward board comes close to the usage rate of 30 that George has. 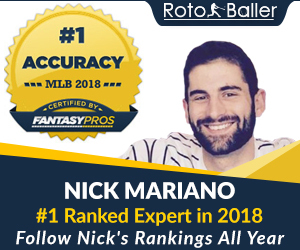 His price implied point total is 37, a relatively low total for him, and I think he can pass that total in a game with a Vegas total of 205 and a tight spread (4.5). Porzingis' salary has come back down to Earth (-$800 over the last 10 days) and the matchup and price are ripe to exploit this evening. The pace of this game should result in a higher scoring total than the Knicks normally produce, and the opportunity for Kristaps (23 Usage Rate and 19 PER) is certainly there. Not only are the Timberwolves on the back end of a back-to-back, they also allow more fantasy points to opposing power forwards than any other team in play tonight. Horford's play has been both impressive and incredibly consistent this season. With that in mind and a price below 7K, he's my favorite cash game center on the board this evening. Philadelphia is real soft in the middle and Horford should have no problem bodying his way to the basket for easy buckets tonight.